Mali Mish - Day 187: Landing in Houston, Texas. 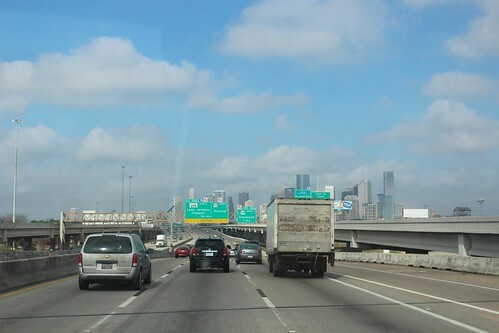 The drive into Houston can be pretty busy during rush hour. We waited for the morning rush to pass before we headed out. One of the stores Marlene really wanted to see is a specialty store by Anthropologie. It is called BHLDN (read Beholden). 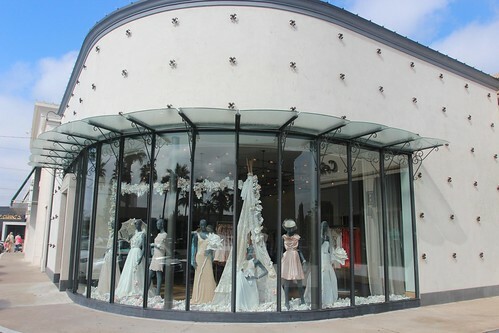 It is Anthropologie’s wedding store. This is 1 of only 2 in the whole country with the other one in Chicago. I am not sure why she is so excited about going to a wedding store. Maybe she is planning to get married. 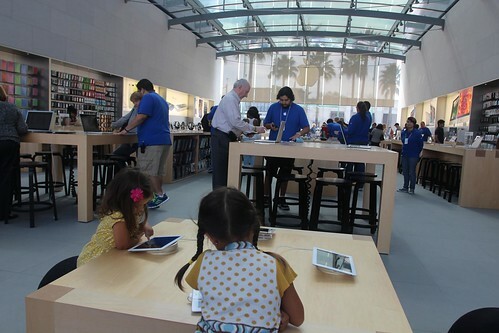 Just around the corner is the Houston Apple store. It’s a good place for me and the girls to burn some time while Cinderella there plans her nuptials. During Marlene’s freshman year in college, she met a friend who later transferred away to another school. Thanks to social networks, she was able to reconnect with her and found out that she had become a surgeon and works in Houston. Having someone local to point us in the right direction when it comes to food is a real bonus when we are in a new town. We have been through Texas before but did not make it to Houston last time. 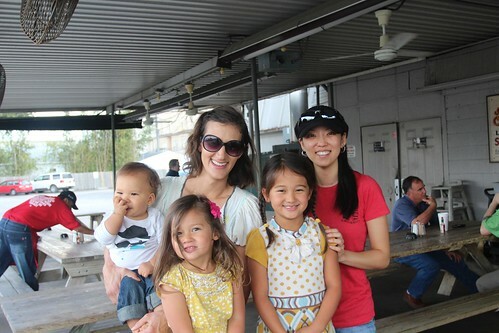 After a couple of email exchanges with Marlene’s friend Liza, we settled on a great BBQ joint called Goode Company. It isn’t cheap. 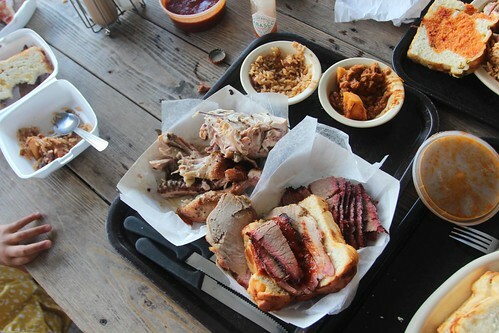 Then again, good and authentic BBQ never rarely ever is. Everything here is amazing especially the beef brisket. It has been many years since Marlene has seen Liza and a first meeting for me and the kids. The girls always love meeting new people and they immediately took a liking to Liza. 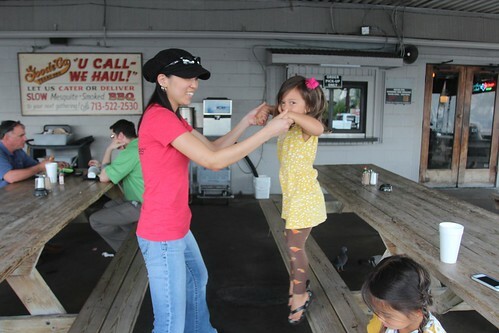 With full bellies and some serious reminiscing out of the way, we parted ways with Liza. She is actually contemplating a move back to California so we might be seeing more of her soon. 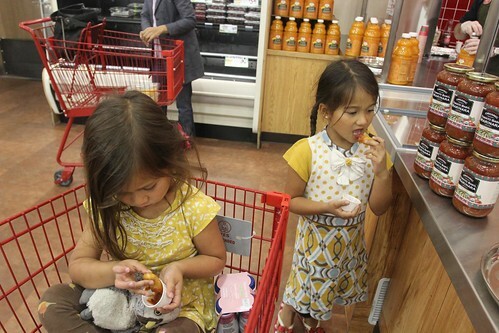 We have been running scarcely short on our Trader Joe’s supplies so we took the opportunity of the store in Houston to stock up. This one is pretty special. It is located inside an old theater. 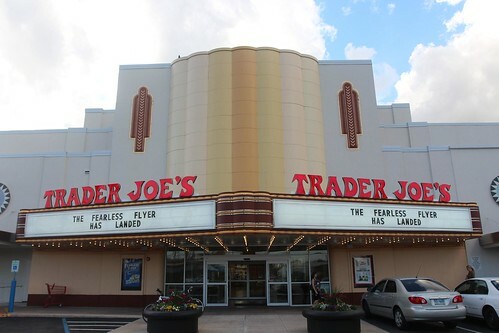 It had not been a theater for awhile as Trader Joe’s took over the space from a book store that occupied it prior to them. They did however keep a fair amount of the architectural details intact and made it a very unique store. Well, we have some shopping and sampling to do. We will see you again tomorrow. 3 Responses to Day 187: Landing in Houston, Texas. 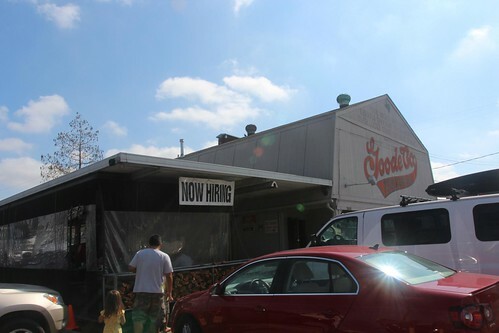 Hey…I ate at the Goode Company six years ago! Brisket was out of this world!!! Small world. Are you coming anywhere closer to Austin? The Hill Country is beautiful! Hi Guys – I found your blog by accident some time ago when we were planning an Adventure (camping) trip to the US and I have been reading your posts quite regularly. I finally caught up with the present post today. With both of us being from Australia but living in London, UK and raising a child we love to travel and from an early age we have dragged our daughter everywhere (she is almost 12 now). 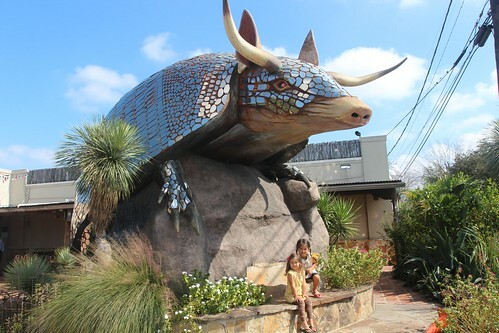 I loved to read about your adventures but also love to know there are other parents out there who like to foster an adventurous travel bug in their kids. Keep having fun! !